The Lumen is a journal of the mutual dialogue between medicine, the arts and the humanities based in Edinburgh. It is run by medical students, literary scholars and graduates of the University of Edinburgh. This is a magazine of new writing and artwork that gives voice to the experience of medicine and illness by patients, physicians and medical practitioners. Its purpose is to foster a sense of community between patients, clinicians, medical students, writers, artists, readers and scholars through art and literature. The Reading Group will be hosting the on-line blog for this journal, which can be navigated to through this web site. We will be posting content on the blog periodically, which could include poetry, fiction, artwork, reviews or criticism on relevant themes. The magazine has published one issue so far in 2014. The first issue can be viewed on-line here. This was published by medical students and literary scholars at the University, Kim Ah-See, Jennifer Allan, Muireann Crowley, Richard Dargie and Francesca Heard. We now have a new team of editors who are planning on continuing with this as an annual magazine, planning a new issue for Summer 2016. The magazine explores critical and creative work that emerges from the interstices of medicine and the arts. We are interested in the narratives of patients and clinicians and how these relate to medical practice and the therapeutic role of artistic expression. We hope to give voice to unvoiced experiences of illness, foster empathetic dialogue between patients, clinicians and the caring communities more generally. Submissions are open to contributors of all backgrounds. We welcome all kinds of writing, including fiction, poetry, visual art, reviews and non-fiction work (memoirs, essays or research work on the Medical Humanities). If you would like to know more about the magazine, or if you would like to submit to us, please get in touch via the following contact form and we shall respond to you promptly. We welcome all kinds of submission. For further details, please consult our Call for Submissions and our Submission Guidelines. Meanwhile, if you would like to read any material already published, you can read our on-line edition above or you can do so on this blog. 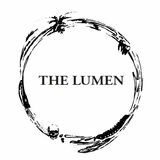 You can also connect with The Lumen via Facebook or Twitter (@theLumenJournal).